The Society of Jesus is currently undertaking a discernment process of their Universal Apostolic Preferences (UAP) that involves a discernment in common, using the GC 36 decrees as a background, Father General’s letter that launched the discernment process, and the initial chapters of the book Shaping our Future. This is a meeting for discernment and apostolic planning and discernment in common means to hear together the Holy Spirit and to make decisions according to the inspiration we feel together. It is possible only if we gain interior freedom as individuals, as a group, as an apostolic sector of the Society. It is a conditio sine qua non for this or any group to liberate itself from a sectorial vision of the Society’s mission. GC 36 is asking this group and the entire apostolic body of the Society to acquire the look of the Holy Trinity. We are called to look at history with their eyes and find out how we, as a universal apostolic body, can do our best (magis) to make a contribution to the redemption of human beings. It is also important to remember that discernment in common is a prior condition for apostolic planning. The next challenging step is apostolic planning. Both words are important. The first one is apostolic that means that what we do is not a product of our minds, but a call we receive to be sent to collaborate in the missio Dei. We are an apostolic body, i.e., a group of people “sent” to be part of a mission. Therefore, we are not the owners of the mission. We are followers – disciples of Jesus sent to be witnesses of His Good News. Planning involves taking seriously this condition of apostolic body. We are administrators of somebody else’s resources and we are committed to do that work in the best possible way. We are a group responsible for the call to participate in the reconciliation of all things in Christ. And so we try hard to do our best. Following this mission has become, for each one of us and for this group, the deepest sense of why we do what we do. After the UAP are formulated will come the process of planning how a complex apostolic body like the Society of Jesus can be oriented in the next 10 years. Provinces, Conferences of Major Superiors, apostolic areas and apostolic works have their own plans. How can the UAP help the Society in its apostolic planning at all levels to be more focused? How can the UAP lead us to a better use of our limited resources? GC 36 confirms and focuses the mission of faith and justice, dialogue and interculturality that inspired our commitment for more than 50 years, since the Second Vatican Council and from GC 32 up to GC 35. This confirmation means a renewed vision of the deep link between social justice, care for the environment, the struggle for peace and faith. All this, together, moves people to work for reconciliation among themselves, with creation, and with God. Getting out of poverty, the possibility to access quality education, participation in making political decisions democratically: these remain unrealised wishes for the great majority of human beings. How can we, as a universal apostolic body, improve our commitment to help these desires to be accomplished? How can we face the ambiguous process of human mobility in the actual world where there are new ways of interaction among individuals and peoples oriented to a more integrated humanity, side by side with people fleeing from war or poverty? How we can combat the trafficking of human beings and new forms of slavery? GC36 asks Father General to continue to work with Major Superiors and Conferences to promote, within the communities and ministries of the Society, a consistent culture of protection and safety for minors, in keeping with the suggestions of the Congregation regarding formation, community life, ministries and governance. The promotion of a consistent culture of safeguarding involves the transformation of unjust existing structures and a deep change in every culture. It also a matter of promoting the human rights of vulnerable people. And so, I have decided that the implementation of this project be entrusted to the Secretary for Social Justice and Ecology. Pope Francis has convoked a special Synod in 2019 on Amazonia. It is a concrete way to help move the Church to implement Laudato Si’. Maybe is also a call to the Society of Jesus to focus on reconciliation with creation as a dimension of the mission we have received. It is very clear that Pope Francis is thinking not only about a specific geographical area of the world, but that he also wants to move us to more concrete apostolic actions regarding the care of our common home. How can we introduce this matter in our discernment in common and apostolic planning? An important accent put by GC 36 is that we are collaborators with God’s action in history today and we are called to become companions in a mission of reconciliation and justice. To become companions means that we see ourselves as collaborators. 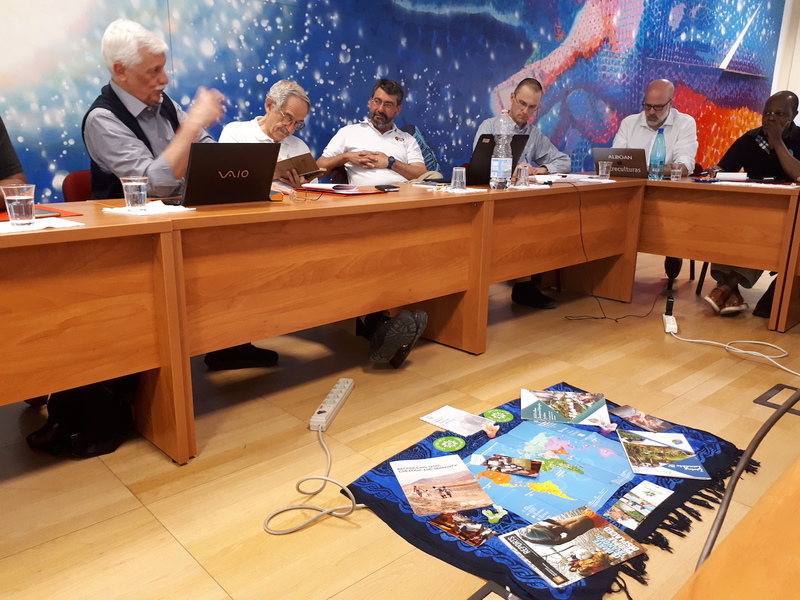 We come together to form a body of Jesuits and partners in mission organized in such a way that collaboration is a characteristic of the entire apostolic body. Our action is also in collaboration with others within the Church or with those persons and groups struggling for social justice, with peacemakers and with those working for the preservation of the environment. Globalisation today brings us together across the globe and makes networking easier. Of course it has also widened the gap between rich and poor so it is not totally a blessing – in fact there are many problems. 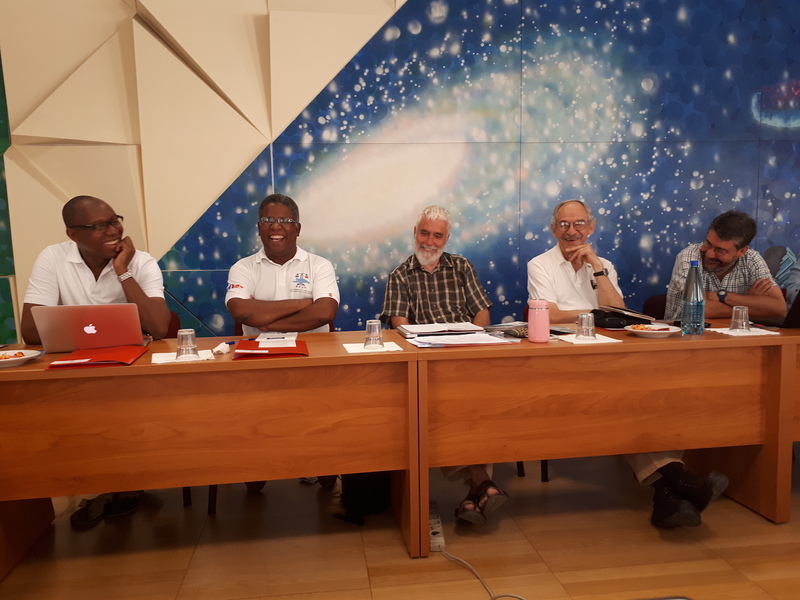 But, without doubt, it gives us the ability to be a universal body for mission and our Jesuit networks have opportunities now that 10 years ago did not exist. These are words on a page. But they represent so much human suffering. Think of the wars in Syria and in Kivu, in Afghanistan and Iraq. Think of the millions on the move, searching for a better life because the world’s political and economic system has failed them totally. Think of the children without education who have to work from a young age. Think of people exploited in mines so that people in boardrooms and stock markets can make big profits. To bring change, we need a kind of passion, a “holy anger” if I can put it that way. We need a passion that cries “enough.” We need a passion that mobilises people of faith and all people of goodwill to work together for change. Because the Gospel is about change, about liberation. The GIAN networks are our effort to be a catalyst for this change. I ask you to find the passion and the mission that can re-energise these structures. I ask you to identify, very specifically, the changes you want in each of these areas and then to map out how to get there with an outline of resources needed and a time frame (which for sure will have to be flexible). Advocacy is not an easy task and the Society needs to improve the ways we do it. I know that unless we are focused, specific and targeted, our advocacy will not work well. The Social Justice and Ecology office here exists precisely to help with such strategizing and help the GIAN groups to find that focus, that passion, that energy, that direction. I see here people at this table who have great experience in all these areas. Please use that expertise to bring people to freedom. Use it to fight for justice. Pope Paul VI said: ‘if you want peace work for justice’. We do want peace. Peace is a Gospel promise, a beatitude “Blessed are the peacemakers”, a fruit of the Resurrection. And so, our mission for the service of faith and the promotion of Justice is foundational, moving us beyond any ideology to a service of Christ carrying His cross and laboring for the peace that the world cannot give. Thank you again for your presence here. It inspires me in my work. It gives me the consolation and the energy to tackle the issues that face me here every day. The Society has a great mission and you, both lay people and Jesuits, are part of trying to take it forward and renew it as you discern, pray and work together so that the frontiers of unbelief and of poverty, of discrimination and injustice can be pushed back and so that people can find true liberation and reconciliation based on the Gospel promise and on the person of the Risen Christ. Thank you and I wish every blessing for your meeting here and an enjoyable and fruitful time in Rome.